Earlier this week, we reported that operators in Singapore were planning to offer camera-less iPhone 4/4s handsets to military and government personnel, who are not allowed to use camera-equipped smartphones within the official surroundings. The local operator M1 has finally started offering the devices on its website. Camera-less iPhone handsets are specifically offered to the users who are not allowed to use camera-equipped smartphones at military bases and/or other governmental institutions. 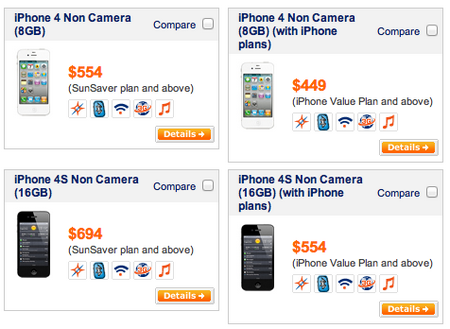 The local operator M1 is offering the camera-less devices with additional charges of S$49 ($38) for these devices. These devices are said to be sold with a certificate of approval that the handset has been modified particularly for the said environments. It is worth noting here that anyone who prefers to purchase any such modified device will not be eligible for the 1-year Apple warranty on the devices, because modifying the device before sale voids its guarantee. On the other hand, Cnet Asia reports that M1 is up to offer 1-year warranty to the users provided by third party seller. All those users who opt for the warranty will have to pay addition S$321 that covers the original warranty terms offered by Cupertino-based tech giant. Defense Ministry of Singapore has recently released some guidelines for military and related government personnel about the use of smartphones. All those personnel having camera-enabled smartphones have to show a clearance certificate by an operator confirming that they are having modified handsets. This suggest that people, who want to have modified smartphones, need to look for operators authorized for selling such devices rather than modifying the devices on their own, as users have to show the certificate from the operators to prove that they are using modified or amended handset devices. 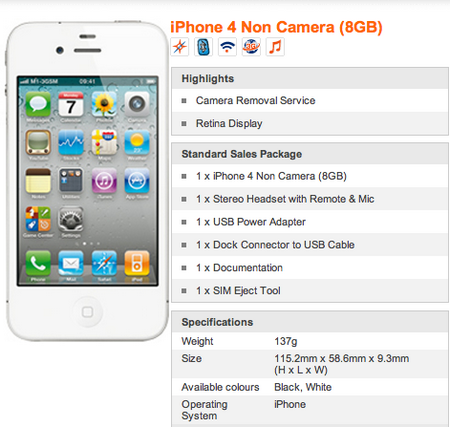 Both iPhone 4S and iPhone 5 to be Released?